SkinCeuticals C E Ferulic Antioxidant Serum helps you achieve smoother, firmer skin. 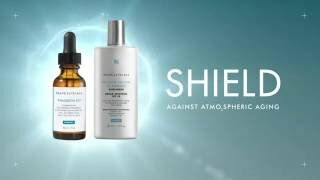 SkinCeuticals C E Ferulic Antioxidant Serum is a revolutionary vitamin C serum that delivers advanced environmental protection against photoaging by neutralizing free radicals that can accelerate the appearance of aging. It provides advanced environmental protection against damaging free radicals, increases firmness and replenishes lipids to visibly reduce wrinkles. Once absorbed, this serum can't be washed or rubbed off, so it is an ideal product for those with dry skin. This SkinCeuticals vitamin C serum remains effective for a minimum of 72 hours, making it an excellent step in your skin care routine. Try SkinCeuticals C E Ferulic Antioxidant Serum for a boost of radiance and an overall more youthful appearance. Vivian tested this anti-aging serum and loved how it transformed her skin. Lisa and Marcia over at Beauty Info Zone loved this vitamin C serum because it helps guard against free radical damage. Tell us your thoughts about SkinCeuticals C E Ferulic Antioxidant Serum and receive 50 rewards points! This is apparently the best antioxidant on the market, and no matter which dermatologist office I go to, this is what they recommend. I took the $ plunge and bought it. I love the fact that it provides extra protection from the sun. I am going to Mexico and purchased it primarily for an extra layer to put on my face before sunscreen. Love this brand, the best for C Serum!! Tried and True!! I've been trying different Vit C serums for about 4 years. This one by Skinceuticals is the best one I've tried. Love it. My skin glows and I feel like to preps my skin for the rest of my skincare routine. It's expensive, but worth it to me. I have been using this product for years every morning before I apply anything else. It makes my skin so clear and glow and the antioxidants protect from sun damage as well. I really like CE Ferulic. Using it in the morning, my skin feels wonderful and prepared for the next getting-ready-for-the-day steps such as moisturizer. It seems to tighten my pores, and I love the protection if offers from antioxidants. I do feel it is making a difference improving my skin's overall healthiness. A must step in my skincare routine! I saw oil and I thought never on my face... Now it's become a must step in my skincare routine. It's pricey but would highly recommend it to everyone. I gave it to my husband to try after shaving, two uses later he went ahead and bought one himself. This is a fantastic product. It goes on like a lightweight oil and absorbs very quickly. It smells almost like popcorn. It absolutely works. I consistently used it for two years, ran out and thought it was expensive and maybe I didn’t need it. After about a month or two I realized that I absolutely do need it and went back to using it. Yes it is expensive but it does in fact work. If you are looking more for spot removal, I would recommend the serum that’s more ferulic heavy specifically for discoloration (It is not as hydrating). I did that one for a bottle and then went back to the CE ferulic. I don’t have too many problems with wrinkles so I can’t really speak to that but I will say that my overall skin tone and texture is greatly improved after using this regularly. Best Vitamin C out there! I use it daily and I truly feel that it is helping to prevent the aging process. I have been using this serum consistently for 2 years. I was given a sample at my dermatologist’s office. I was so happy to see it available on the LovelySkin website. My skin seems to “drink” in the serum. I live in Colorado with very dry climate and feel this serum helps my skin to retain moisture. I have sensitive skin and I have not had any problems with this serum. 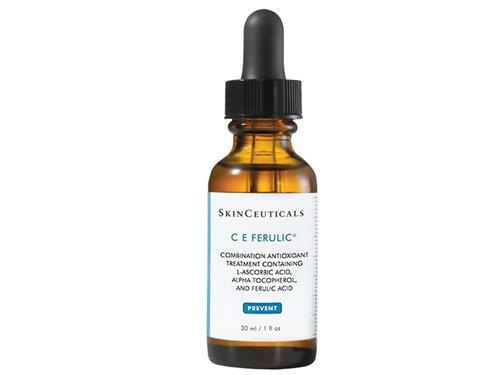 I have been using CE Ferulic for many years and I have never found a better product for keeping my skin smooth and wrinkle free. My skin looks at least 10 to 15 years younger than my chronological age. 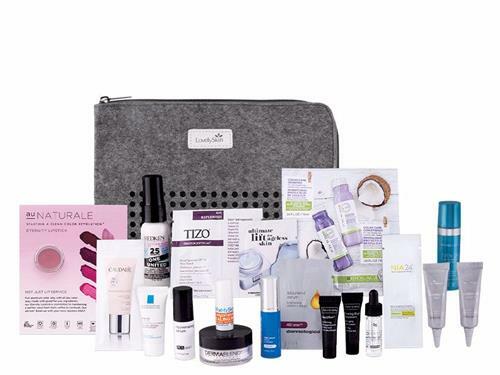 I am happy with the freshness of the products that come from LovelySkin. I've used this product for months. It is the perfect first step in my facial procedures in the morning. I love the way it makes my face feel. It gives it a soft feel with lots of moisture. I highly recommend to anyone who wants a good base for your makeup foundation. Great product. Very healthy to use. A bit pricey but the product is really terrific. I noticed a change in my skin quickly after starting. I'm half through my first bottle and am ready to order my next so I don't get caught without. I don't know if I can pinpoint anything exactly but I do find the overall appearance of my skin is improved! Will need to see how long the bottle lasts me since it is such an investment but I am happy so far. I love this serum my skin looks and feels more healthy and glowing. Definitely a must have! The CE Ferulic serum lives up to its stellar reputation, feels smooth and nice on the skin, makes my face glow and hopefully over time it helps reduce dark spots. I have tried several vitamin C face serums and CE Ferulic gives great results-- glowing, healthy, and more resilient skin! I feel protected with this serum. 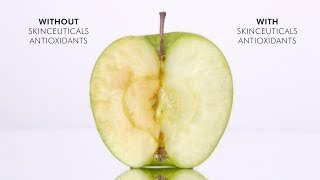 The antioxidants along with sunscreen has prevented sun damage. My skin tone is brighter. Very pleased with the results. Easy to use and absorbs quickly. Can see a change in skin texture. This is C serum that all others are measured against. This is the golden standard and a wonderful product. Don't refrigerate it, but do try to use it within 6 months. Four drops seem to be the perfect amount for my usage, and I only use it in the morning before my sunscreen. It gives a lovely glow with regular usage, and it's a wonderful product for any regimen.